Just arrived at three of our stores, Newhaven, Eastbourne and Hastings, we can now offer you a really different type of rug. These rugs are made from recycled products such as bike inner tubes, plastic bottles, old jeans and banana skins. 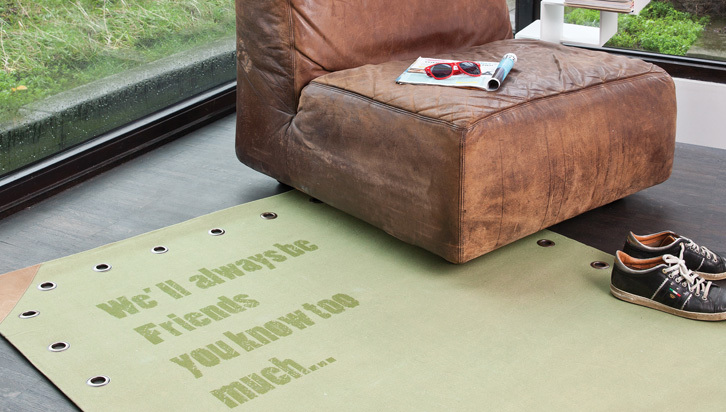 These rugs are completely different from anything that you might have seen. They are called Papilio and the whole range can be seen online. Fludes Carpets has an exclusive selection in the South East of England. Get something different and feel good about recycling at the same time! Please contact your local carpet shop if you have any questions about the rugs, carpet & flooring ranges we offer.